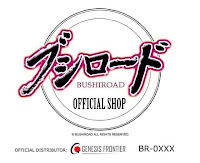 Please buy all future Bushiroad (Luck and Logic, Weiss Schwarz, Future Card Buddyfight and Cardfight!! 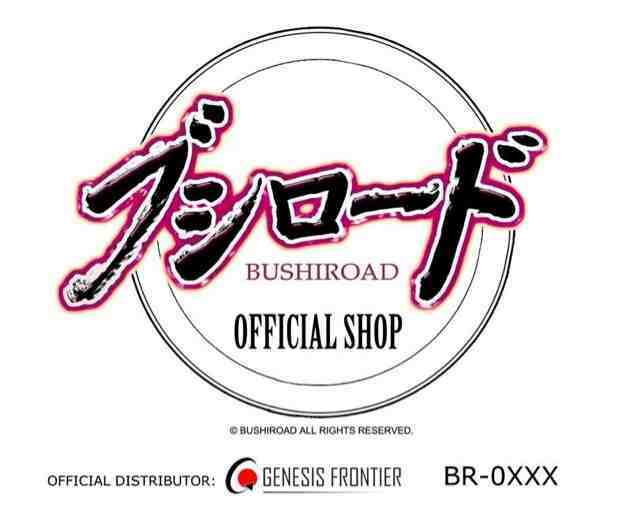 Vanguard) products from official shops with this plastic decal! Official shops enjoy benefits such as tournaments supported by PR cards and exclusive product releases. Support your favorite local game shop, and your favorite local game shop will definitely support you! The card images used on this site are obtained from the Cardfight!! Vanguard Official Portal Site (http://cf-vanguard.com), in accordance to the guidelines stated there. Re-use of these images (re-post, distribution) is strictly prohibited. The card images used on this site are obtained from the Future Card Buddyfight Official Portal Site (http://fc-buddyfight.com), in accordance to the guidelines stated there. Re-use of these images (re-post, distribution) is strictly prohibited. Others Sources: BigWeb, 2Critical, Nananews, Livedoor (Freedomduo), and many others. - The Heroic Evolution is the 7th V Series Extra Booster released in the Japanese and English format. - The package illustration features Kouji Ibuki, Toshiki Kai, Taishi Miwa, and Harmonics Messiah. - Includes support for the clan: Kagero, Nova Grappler and Link Joker. - Cards being used by Ibuki, Kai and Miwa from the anime, Cardfight!! Vanguard: PSYqualia Zombie Arc. - Introducing a new rarity, Cross Vanguard Rare (XVR), which are VR with Character’s Image and Hot-Stamp. It will be featuring a different design compared to the VR. - XVR featuring illustrations frok previous release will also be randomly inserted. - There will be a Imaginary Gift given as the Box Topper (Total 3 types). - Includes further boosts to the attribute for the Platinum Standard format: Messiah. - Each display includes 12 packs, and each carton includes 24 displays. - Includes boosts to Imaginary Gift: Force (Kagero & Link Joker) and Accel (Nova Grappler). - This Extra Booster will be Pre-Released at Vanguard x Buddyfight Fest 2019 on 2nd May 2019 to 4th May 2019. Each Box comes with 1 VR or 1 SVR or 1 XVR. - Second Coming of the Phantasmic Stallion is the 6th V series Booster Set released in the Japanese and English Format. - Includes support for the clan: Shadow Paladin, Murakumo, Dark Irregulars and Pale Moon. - The package illustration features Ren Suzugamori and an unknown Mordred card. - Includes Box Topper: Imaginary Gift: Force II, Imaginary Gift: Accel II and Imaginaty Gift: Protect II. - Includes boosts to Imaginary Gift: Force (Shadow Paladin), Accel (Murakumo and Pale Moon) and Protect (Dark Irregulars). - Liberation of the Heavenly Stallion is the 5th V series Booster Set released in the Japanese and English Format. - Includes support for the clan: Royal Paladin, Oracle Think Tank, Gold Paladin, Nubatama and Narukami. - The package illustration features Aichi Sendou and an unknown Gancelot card. - Includes boosts to Imaginary Gift: Force (Royal Paladin), Accel (Gold Paladin and Narukami) and Protect (Oracle Think Tank and Nubatama). - Start Deck Blaster Blade is the 2nd V series Special Series released in the Japanese format. - Includes boosts for the clan: Royal Paladin. - Each deck consists of 1 reprinted Non-foil version of King of Knights, Alfred. - The new card in the deck will be a new vanilla Critical trigger, similar to Bringer of Good Luck, Epona and Flogal! - There will be a new card illustration for Blaster Blade. Each pack comes with at least 1 RRR and 2 R.
- Super Clash! Batzz vs Geargod is the 1st S Special Pack released in the Japanese format. - Includes further support for all Worlds except for Lost World. - Includes further support for the attributes: Thunder Empire and Chaos. - Includes new forms of Batzz and Geargod!!! - All Rare (R) will get a foil version. - There will be no Double Rare (RR), Uncommon (U) and Common (C) in this special pack.